Is there a virtual machine that I could install on EndLess? Hmm… not right now, because most of them rely on recompiling their own kernel modules. Our base OS doesn’t have a compiler by default which is one challenge, and the other is that our kernels & modules are now signed because of secure boot. The easiest would be something based around kvm where the necessary kernel support is already included in our kernel, but we have no UI/app for it at the moment. We were discussing internally if we should try to include GNOME Boxes. It would be the best integration with the system. I’ll see if anyone is interested internally. We need some solution to virtualize operating systems be it Kvm, VB, Dock or Vmware. As @ramcq said, we are definitely interested in adding a VM solution. We’ll post when we have more updates about it, but we appreciate your letting us know that you need things like this. It’s great to know what people like about Endless, but also what they think is missing or can improve. Thanks, @Wagner_Silva! Hi Wagner, are you also interested in docker? What sort of workflows would you like to use it for? As Rob said above we’re inclined to add GNOME Boxes because it has the best integration but I’m interested in many different workflows! Also your eos3.0*.img file will not boot using Vmware Fusion (Mac). I have extracted it and assigned it under the cdrom settings. It drops to PXE boot. So I read the other posts on this thread. Why can’t you just bundle basic as a .iso file and it theoretically would do away with the need to mess with Gnome at all. The .img isn’t a CDROM image, it’s a hard disk image. We’re planning to ship an ISO in future but it’s not ready yet. I really like the idea of ​​integrating gnome-boxes in Endless OS. In my case, I have been able to install Endless OS on several PC’s with dual-boot with Windows in laboratories of rural schools in my country. However, some school principals have asked me for this to be the main system considering a better implementation (eg buying private codecs) but it is not possible without allows support Windows (rebooting the computer doesn’t work and is not nothing productive). Wine is an option, but it becomes complex in the short or long term, so virtual machines is the safe option. Previously we had tried with fedora with equal results, but the vision of Endless OS together with its interface by far achieved better educational results. 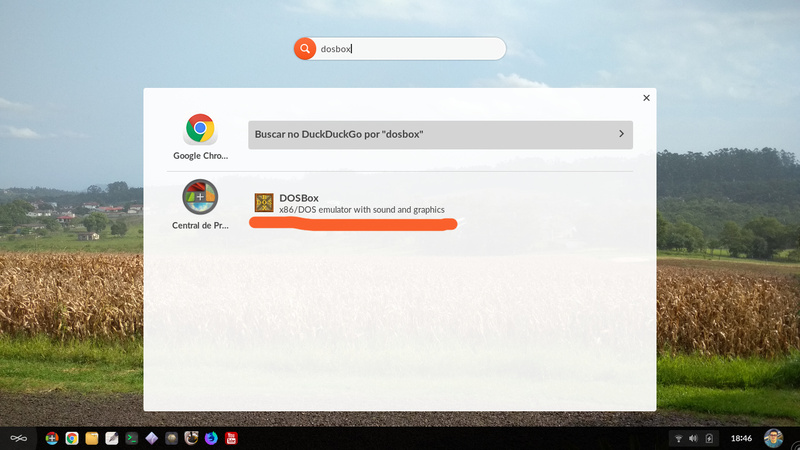 At this point gnome-boxes would provide a simple interface only in use, since it is perfectly coupled with a gnome search provider and therefore a child could start a virtualized Windows instance as if it were an application. Note: The use of Windows is due to specific applications granted by the government and that also work in outdated versions of Windows. I’d like to see a VM solution within Endless OS for what it’s worth. I would very much expect the VirtualBox on Endless OS. Lots of educational institutions are using VirtualBox as an environment for virtual learning objects, basically .ova files that are exported from VirtualBox. I guess it suppose to be possible to pack VirtualBox and also its extension pack into Flatpak. For instance there is a VirtualBox-based virtual learning objects environment available, called I-Tee, which has been used in several educational institutions already. Yes, I heard the other day that the maintainer of gnome-boxes has made some progress in getting it to work in Flatpak. Yes Nich i am interested in working with docker! kvm is required to virtualize devices in Android Studio.